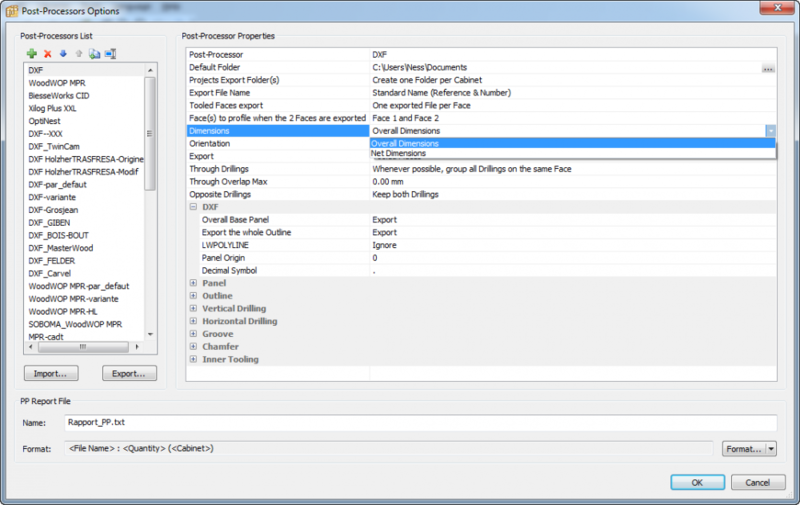 Have you set the CID pp to output the “overall” or “net dimensions”? If set to overall you tell Polyboard you want to machine after having edged. “net” says you are machining before. Opticut however, used the cutting list sizes. 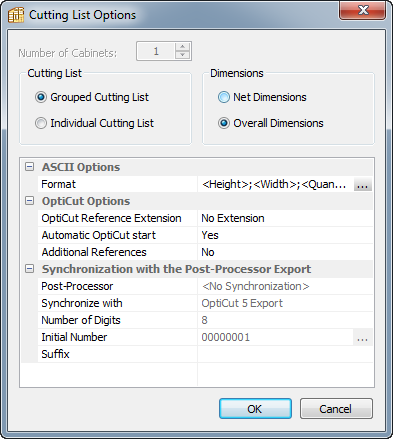 The cutting lists can also be set to overall or net. So how you set these parameters depends on your edge bander and when you add edging. Some edge banders will calibrate the board planing off the thickness of the edge before applying it. For instance if you set both pp and cutlists to net, you cut, machine then add edging on a edge bander that doesn’t calibrate the board. If your edge bander doesn’t calibrate, but you want to edge before machining (sometime useful if the edge bander doesn’t like having holes on the panel face) then you would set “net ” for the cutting lists, and “overall” for the pp. Problem is different panel sizes in Opticut DXF files and Polyboard CID files. Different is exactly thickness edge 2mm.